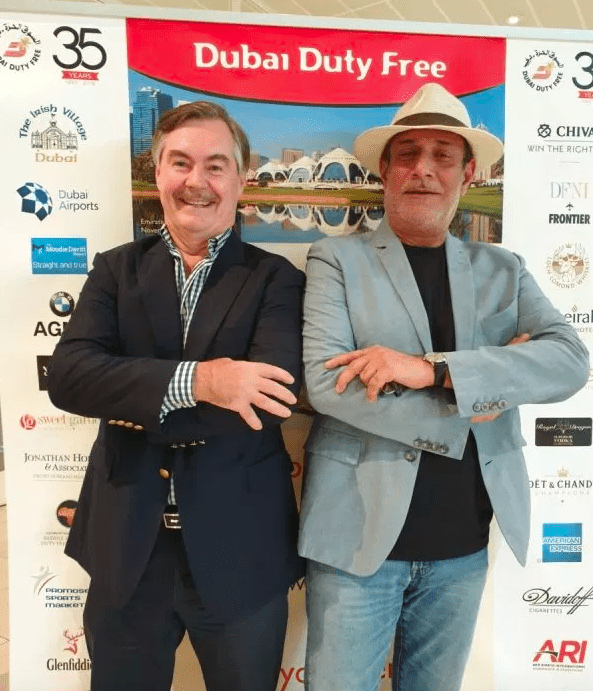 The Dubai Duty Free Golf World Cup is always one of the most highly anticipated events in the international travel retail golfing calendar and this year’s 26th edition was no exception. 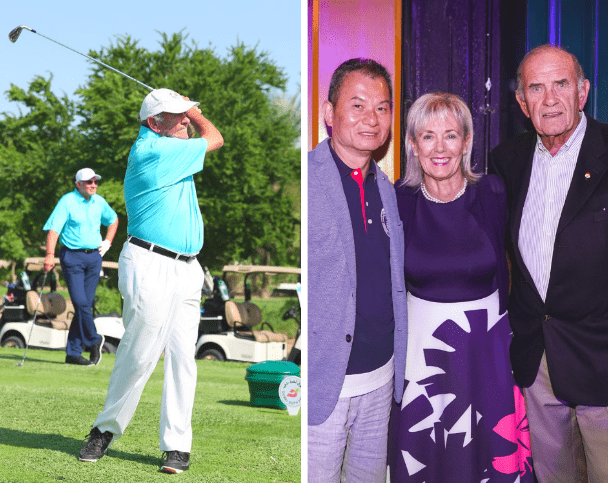 The two day event saw 100 players compete in a bid to be crowned the 26th anniversary champion, round 1 was played at Emirates Golf Club and round 2 at Dubai Creek Golf & Yacht Club. 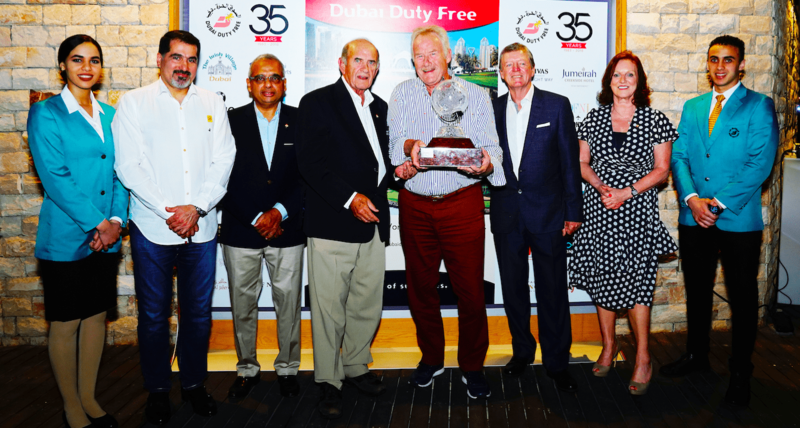 This two day stableford event organised by Dubai Duty Free allows their industry guests to enjoy two stunning golf courses in a fantastic atmosphere amongst friends, guests and colleagues with a whole host of prizes throughout the respective Men’s, Ladies’ and Senior’s Divisions. 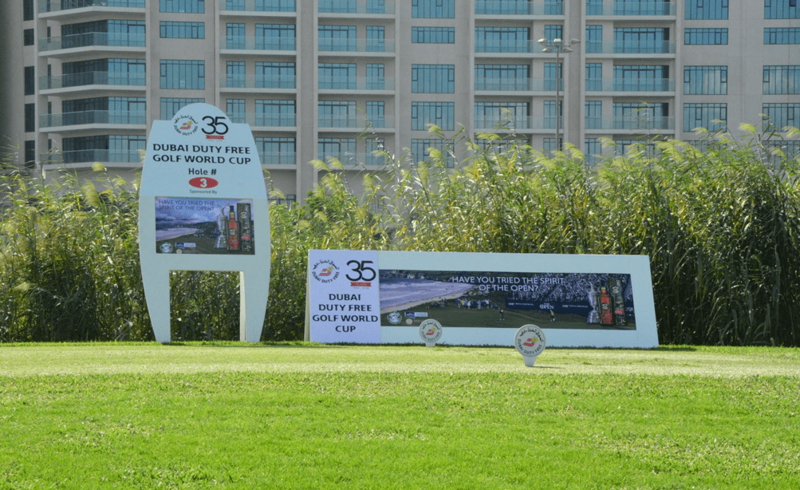 At Emirates Golf Club on day one, the Men’s Division saw some impressive performances. The most notable performances came from Michael McGinley who was awarded the best gross, Jonathan Holland (pictured below on the left – photo: Moodie Davitt Report) who claimed day one’s 1st place and Dennis Marnane who claimed day one’s 2nd place. 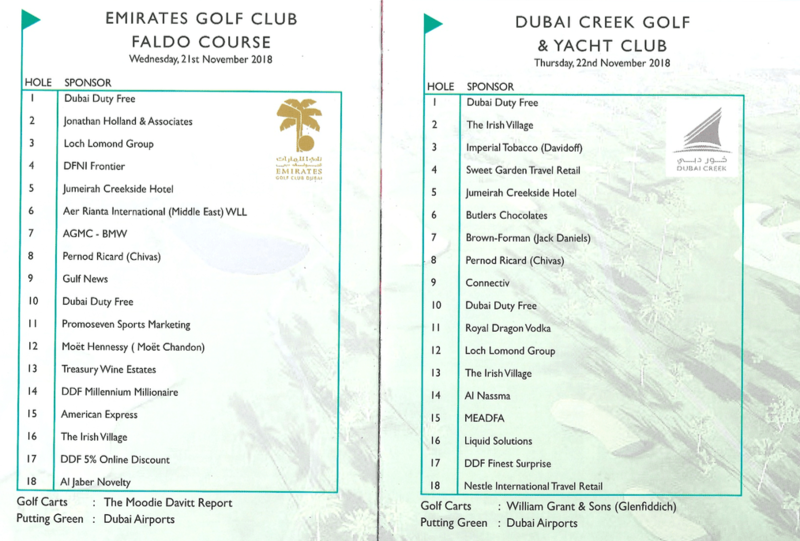 At Dubai Creek on day two, performances were equally as impressive, James Finnigan was awarded the best gross, James Kfouri day two 1st place and Jean-Stefan Camerini day two 2nd place. Naima Maya found herself at the top on day two and was presented with 1st place, whilst 2nd place on day two was awarded to Joan Legnar. A fantastic second day performance, meant that Amarjeet Radia was presented with the day two best gross prize.